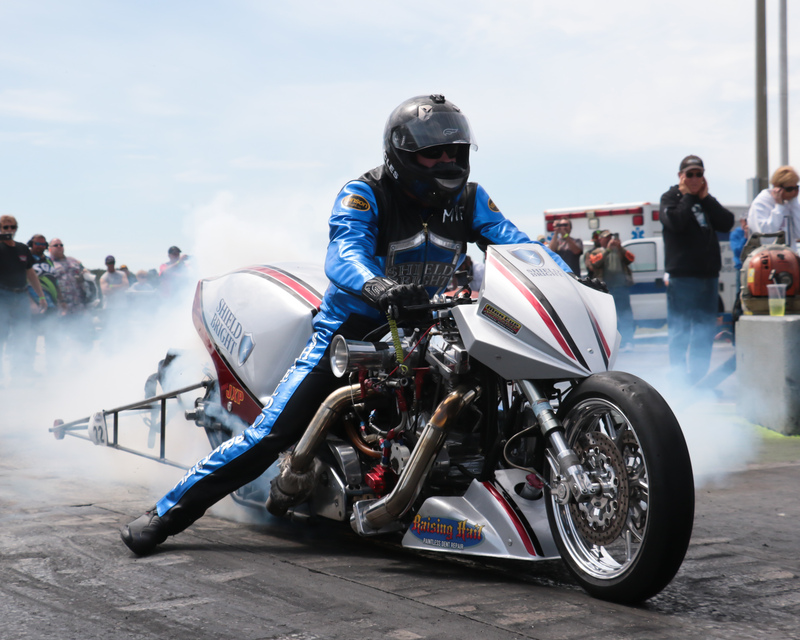 The Shield Bright Coatings, Top Fuel Harley Team, had an optimistic first outing on April 8-10, at the MANCUP Exoticycle Roaring Toyz, Spring Cup race. The event, held at the prestigious South Georgia Motorsports Park near Valdosta, Georgia is the first stop on their five race tour this year. Mike Beland, the pilot for the Don Johnson tuned bike was pleased with the first outing, “We qualified 7th and made the field in our first outing, that’s a great start for a new team” he commented after the race. Mike was more than ready this first race. 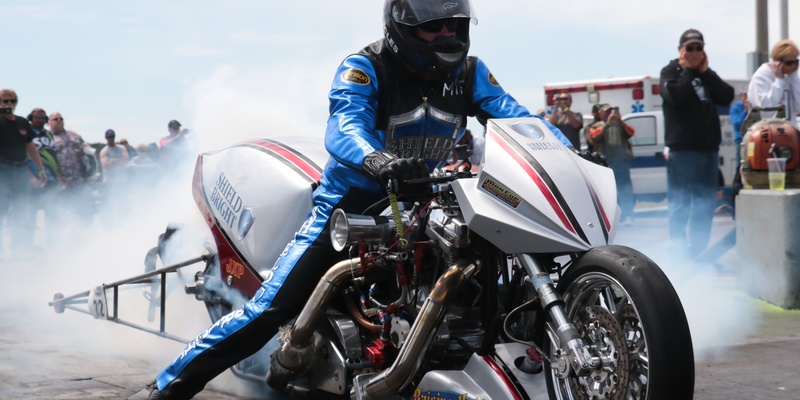 “In round one we had the big legend of our sport, Larry “Spiderman” McBride and there’s no quicker way to bring out the best in you than to face the best.” Larry qualified second for the field so Mike brought his “A” game to the starting line. SHIELD BRIGHT is a cutting-edge, professional restoration and coating company with services extended to all vehicles (Aircraft, Automotive and Marine). We specialize in high-end restoration processes and premier coating products, and we continually strive to be the very best in the business and have been successful in doing so over the past 20 years. 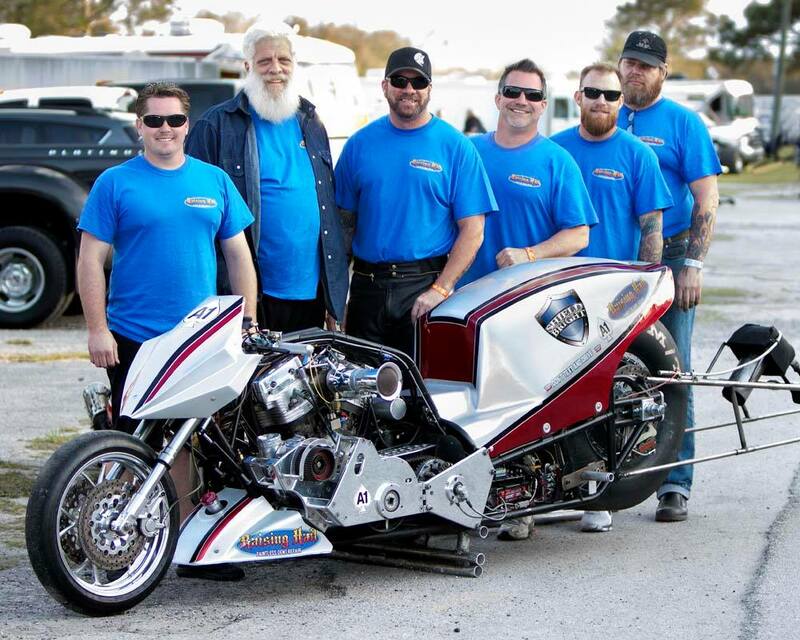 Mike Beland, Don Johnson and their Nitro Harley team. Originally designed for the aerospace industry and now extended to all vehicles, “FlightShield” is a crystal clear nano coating that chemically bonds to aircraft paint to become a new surface and protective layer offering an ultra smooth, high gloss and resistant coating. I would love to see the schedule for the Nitro Motorcycle races. They don’t get enough publicity and they need more exposure. I would also like to see an ALL MOTORCYCLE event at some of the Dragstrips. Saw them run arSGMP in spring. Nothing since! 300 mi. to Rockingham and only three top fuelers. Hope to see you at SGMP in Nov.